Contract teaching appointments have become standard practice at Canadian post-secondary schools. At Emily Carr University of Art + Design (ECU) in 2016-2017, non-regular instructors were delivering 56.5% of course sections. The university’s dependence on their labour is not reflected in their working conditions, which include lack of adequate work space, under-compensation and no job security. They are also excluded from many of the supports and recognition afforded to regular faculty, including professional development and sabbatical leave that would assist them in maintaining their professional practices. Sessional faculty, who make up the majority of non-regular instructors at ECU, are not paid to do service and are excluded from governing bodies of the university. These conditions create barriers for instructors to do their best work and impact curricula and students’ learning in several ways. They also have serious implications for the state of academic integrity and freedom at ECU. Non-Regular: Precarious academic labour at Emily Carr University of Art + Design is a collection of testimonials, analysis, interviews and art work that aims to expose the problems of this employment model and to contribute to larger conversations about neoliberal education. Created by Terra Poirier, a student, it consists of contributions by 27 instructors and artists speaking candidly about the conditions of their labour. Topics include: teaching as low-wage work; job security; respect and the value of art(ists); maintaining professional practices; the politics of space at the new ECU campus; impacts on students; solidarity and the role of tenured faculty; and the erosion of academic freedom and integrity. We also consider how these conditions are exacerbated by and amplify gender and racial bias within academia. While the book comes out of Emily Carr, much of the content applies to any post-secondary school that relies on casualized teaching labour. A particular strength of the project is that contributors had the option to be anonymous, allowing them to speak candidly while reducing the risk to their job security. 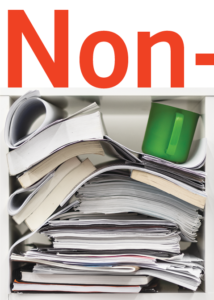 The first edition of Non-Regular has been published by Unit/Pitt Projects and launched in October 2018, in time for the start of bargaining year for BC colleges and universities. On unceded xʷməθkwəy̓əm (Musqueam), Skwxwú7mesh(Squamish) and səlil̓wətaʔɬ/Selilwitulh (Tsleil-Waututh) territories.